Looking for Best Bakery and Cake Shops WordPress theme then this article is valuable for you as we have listed down beautiful website for bakery, cake, coffee shop or restaurant. Visual is very important for you bakery site as it gives immense feeling about your product you are delivering. These themes comes with thousand of color variation, Features, forms and online eCommerce integration and also a google map integration which helps you to find near by franchise of same shop. Thus keeping in mind these themes will save hours of your research time to build elegant website for your restaurant, bakery, coffee shop, cafe etc.. Choose a design that will make your business run awesome and helps you to keep smiling, we have listed our best 15 bakery site themes or templates here. A nice SEO-friendly WordPress theme intended for bakery and cake online shops. Compatible with FoodPress plugin, the theme will showcase your restaurant’s menu in the most welcoming way. Integration with a WooCommerce plugin allows you run an online store with no effort. The theme is easy to install, edit and manage. Enjoy it. Take a look at this clean and eye-catching WordPress theme well-suited for cafe, bar, restaurant or bakery sites. An interactive design, pleasant look, and a robust functionality will capture the attention of your visitors. It comes with responsive design, Visual Composer plugin, a bunch of fonts, WPML support, and more. No regrets. Keep up on your game. Create a defined website design using this modern WordPress theme. The theme is perfect for bakery, pizza, food or beverage company. It features 3 home page layouts, Visual Composer plugin, WooCommerce integration, Revolution Slider and responsive retina ready layout. Love to learn more? Grab it now. Drive up sales. Be different. Another nice and modern WordPress theme tailored for a sweet shop, bakery, catering and other food-related companies. The theme is fully responsive and retina ready. It looks consistent across all last-generation devices. It comes with several premium plugins such as Revolution Slider, Visual Composer, Essential Grid, and more. Meet one of the best premium WordPress theme well-suited for bakery, cafe and food-related websites. Enjoy its live demo to explore some useful features included in it. It comes with a WooCommerce integration, drag and drop page builder, product post type, order form, responsive design, and SEO-optimization. Grab it now. Looking for a clean modern template with minimalist design? Don’t go for more. Get your hands on this responsive and cross-browser WordPress theme perfect for restaurant, bakery, pizza, food and beverage websites. It comes with a FoodPress plugin compatibility, WooCommerce integration, table reservation system, several custom plugins, and more. Create a sense of desire for your clients to come and see what you offer. What’s your choice? Feast your eyes on thie beautiful WordPress theme with a WooCommerce integration. It suits perfectly to all types of food and beverage websites. Click the live demo button to try it. The theme is easy to install, edit and manage. Change the overall look of the theme to fit your business requirements the best. This modern and eye-catching WordPress theme is worth your attention for sure. The theme comes with responsive design which looks perfect on all last generation devices and screen sizes. Design it to match the needs of your targeted audience. Help them solve the need they have. Build in-thing today with this cutting-edge solution. Elegant design of this modern WordPress theme will capture your visitors’ attention. If you want to reach new customers, get this premium template and make a compelling case. Stun your customers at the first sight. Attract natural traffic and turn your visitors into loyal customers. Keep it simple. Create a website that will strengthen your food or beverage brand. Lead your visitors through a butter-smooth shopping experience. Build a visual masterpiece. Grab this worry-free solution to create a website that will make your restaurant business a success. That’s the goal. Convinced yet? Enjoy the sleek, modern and responsive design of this WordPress theme designed for bakeries, cake shops and pastry stores. Equipped with 12 homepages, the theme can fit all types of food and beverage websites. 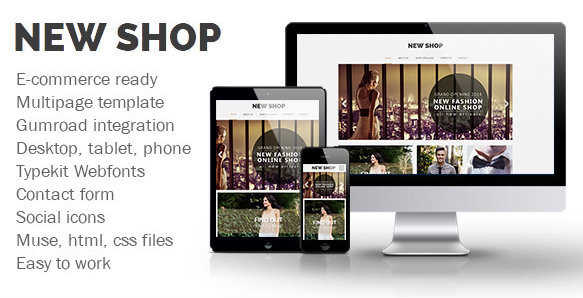 Compatible with WooCommerce plugin, it allows run an online shop in minutes. Make your choice. No one is going to trust you if your website looks poor or loads incorrectly. That’s not an option, it’s fact. Drive up sales with this modern, responsive and a highly customizable WordPress theme designed for food and beverage websites. Enhanced with Parallax effect, awesome fonts, color schemes and great support, this theme will turn your website into a runaway hit. Promote your cakery, bakery, coffee shop or restaurant with this worry-free WordPress theme. Let your modern website pop up in the hungry visitor’s search engine results. Crafted with care, the theme will deliver an amazing experience to your visitors. Are you ready to make your pick? Give your visitors a reason to choose your treatment and offerings over many others. Build a website that stands out from competitors. Get your hands on this modern, responsive and powerful WordPress theme designed for bakery, coffee and restaurant websites. 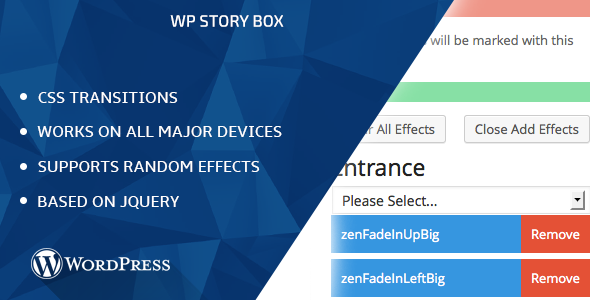 View the live demo to see the theme in action. Everything you need is to keep your food lovers coming back to your outstanding cafe, coffee shop or restaurant. Grab this premium WordPress theme to make your website visually stand out from the pack. It features Visual Composer and Revolution Slider, 2 styles for restaurant menu, WooCommerce integration, built-in Contact form, WPML support, and much more.